Bridgestone Potenza S007 is a super sports car tyre. 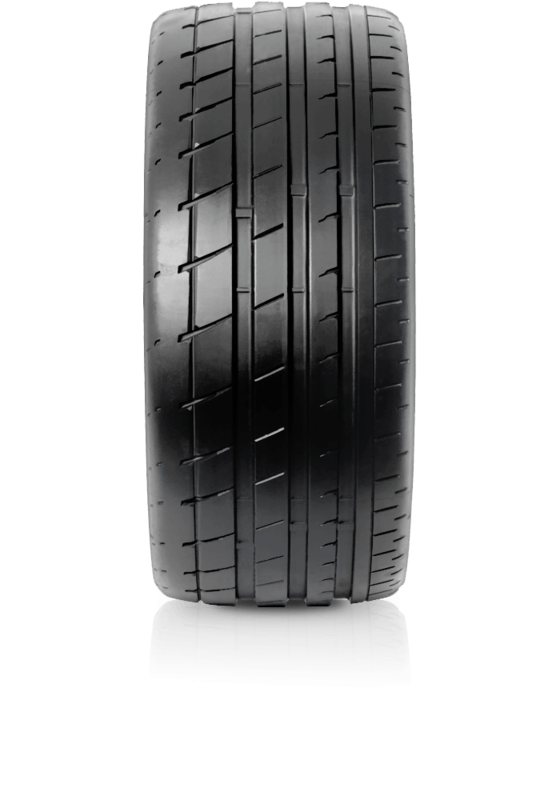 Bridgestone Potenza S007 is a super sports car tyre developed as original equipment for Ferrari. The S007 has been tailored for high speed sporty vehicles requiring extreme levels of lateral force due to their sporty set up. The pattern features rigid pattern blocks for superior steering response and unleashed grip on dry surfaces. To meet Ferrari’s specifications for improved fuel efficiency, these technologies were combined with Bridgestone’s advanced knowledge of tyres at the molecular level, helping to optimize the mixture ratio and reaction between carbon, silica and rubber, which reduces rolling resistance and fuel consumption.